The view out the Mamukala window at the end of the wet season in Kakadu. 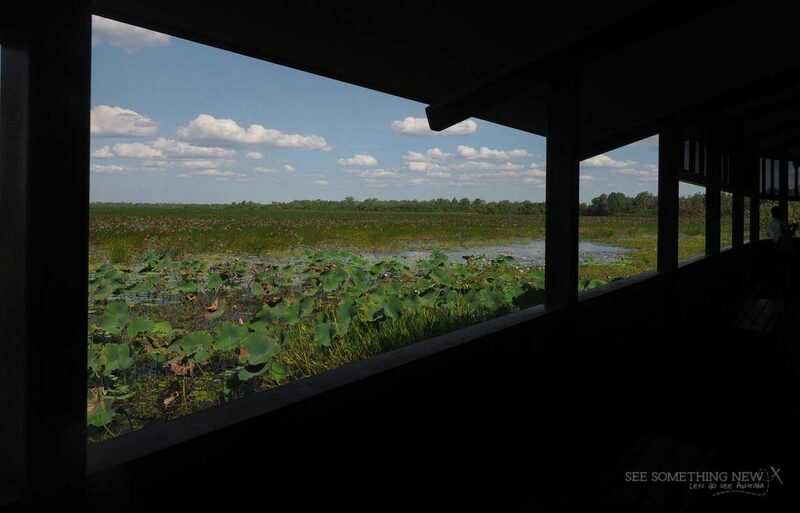 The beautiful bird hide at Mamukala wetlands is a tranquil space to enjoy bird watching and the ever changing wetland view. You walk to the hide along a flat and wide wheelchair accessible path which is only 100 metres from the carpark. Once you are inside there are long bench seats to sit and enjoy the relaxing space. 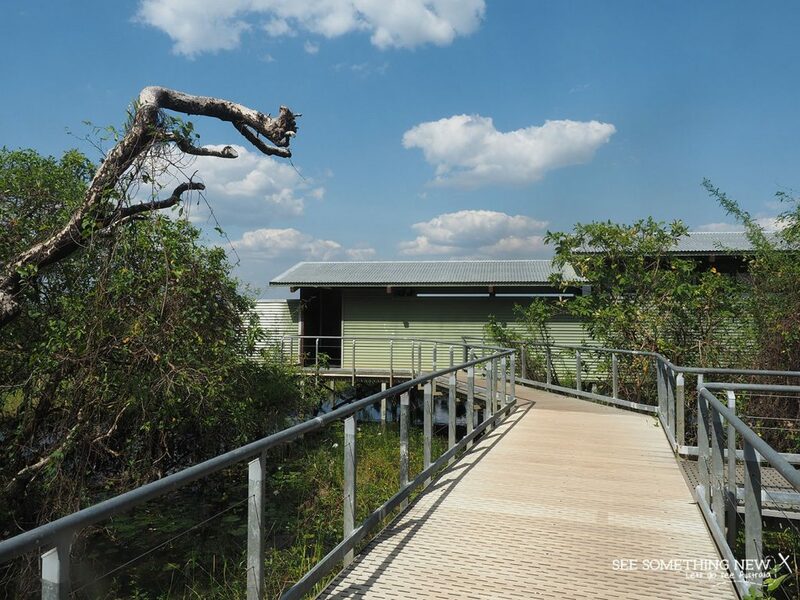 The Mamukala Bird Hide is easy to access. The open view means you can take photos of the birds with no glass in the way and there is plenty of space to set up tripod or rest your camera on the wide window edge. Depending on the season you may spot a variety of different birds. After wet season the water was close to the hide so Jacana’s were easy to spot. 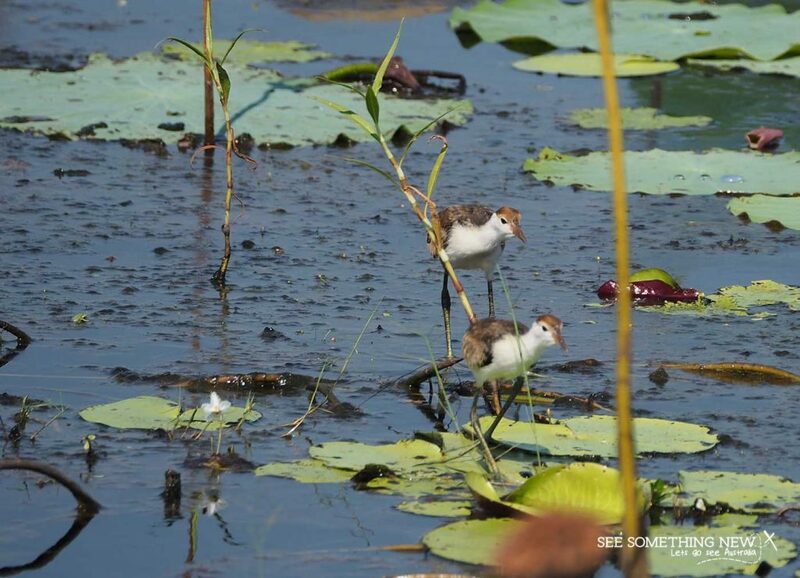 These baby Jacana birds were just metres from the hide. 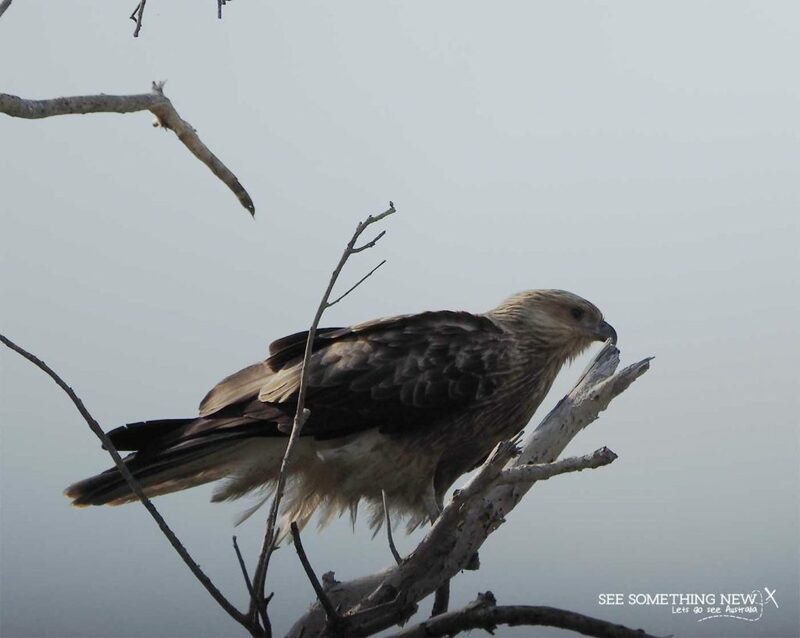 I also saw this Whistling Kite (they are very common in the park) who was staring wistfully at the baby Jacana dinner! A Whistling Kite eyes off potential dinner at the Mamukala Wetlands in Kakadu. In the dry season there is also a 3km loop walk that takes you all the way around the Mamukala wetland. Mamukala can be seasonally closed, make sure you check the parks report before visiting to avoid disappointment. Parks Australia have developed an iphone and android app called ‘Kakadu Birds’. You can use this app to identify the birds your see at Mamukala wetlands and other places in the park. To download it head to your app store or follow the learn more from the Parks Australia website. Kakadu is famous as a birders paradise which is why Kakadu runs a full ‘Bird Week’ event each year. Check out the Parks Australia and Kakadu Tourism websites for more information on bird week activities around the park. To read more about Kakadu visit the See Something New Kakadu page.